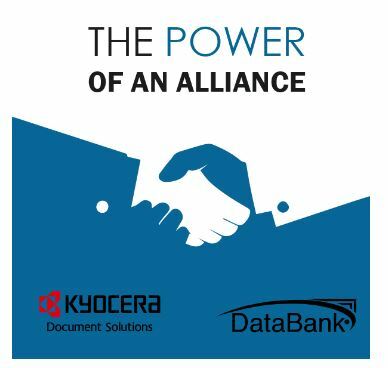 DataBank, North America’s leading business solutions provider, and KYOCERA Document Solutions America, one of the world’s leading document solutions companies, announced the formation of a business alliance, designed to provide business process improvement services to their mutual customers. Midwest Automotive Designs, one of the world’s premier Mercedes-Benz Sprinter van customizers, has been selected for a Top Debut award. The editors of RVBusiness selected Midwest’s Legend Class B design as RVBusiness’ 2017 Top Debut. The award was the results of RVBusiness’ review at several fall and winter trade shows. Merion Investment Partners III, L.P., is excited to announce a new investment in Industrial Air Flow Dynamics. 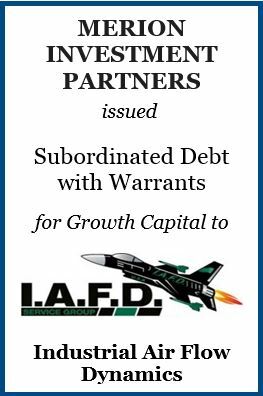 Merion provided subordinated debt for growth capital. The company, headquartered in Glastonbury, CT., is a leading manufacturer and installer of replacement expansion joints for power generation applications. The company provides its services nationwide to several different types of power plants, including gas and coal. 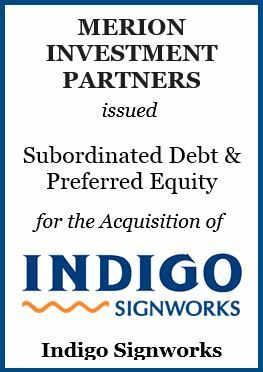 Merion Investment Partners III, L.P., is excited to announce a new investment in Indigo Signworks. Merion partnered with Marquette Capital Partners, Akoya Capital Partners and current management to purchase the company. The company, headquartered in Fargo, ND, is a manufacturer of custom-made exterior and interior signage, offering a wide suite of services including design, manufacturing, installation and maintenance. The company currently operates out of six locations throughout the Upper Midwest serving a diversified customer base representing multiple vertical markets. Midwest Automotive, a Merion Portfolio Company, Recently Announced Their Addition of a New Luxury Vehicle. In the world of exotic sports cars, the term Grand Touring has always designated a vehicle that blends style, performance and comfort – and turns any road trip into a highly enjoyable journey. Now, a new luxury vehicle has emerged that brings the same level of refinement and motoring possibility to a very different sort of performance machine: The executive van. 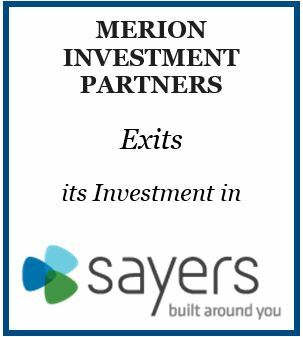 Merion Investment Partners is excited to announce a successful exit from Sayers, a leading IT solutions company in the data center infrastructure, enterprise security and networking sectors. During Merion’s investment period, the company grew revenues and EBITDA at a CAGR of 12% and 18% respectively. 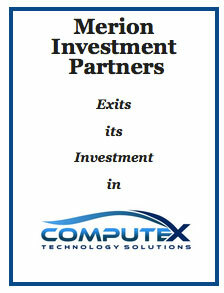 Merion is pleased to announce a complete exit from Computex through a recapitalization by a Senior lender. Computex is an IT Solutions provider focused on the private cloud, virtualization, storage and networking segments. The Computex portfolio of services includes break fix, consulting, remote management and monitoring, and hosting via IaaS or cloud. 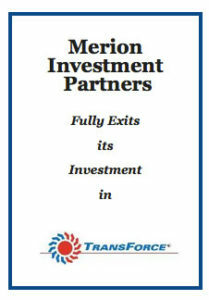 Merion is pleased to announce a complete exit from TransForce through a sale of the company. Established in 1991, TransForce provides workforce management solutions to the commercial transportation industry through a network of 47 branches across 24 states and dispatches more than 2,500 drivers to its customers on a daily basis. 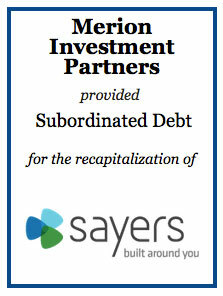 Merion Investment Partners provided subordinated debt to support the recapitalization of Sayers, a leading IT solutions company in the data center infrastructure, enterprise security, and networking sectors.